Keep your little man stylish and savvy with these Anti-Slip Rubber sole Toddler Boots. He will stay warm throughout winter in our adorable leather upper boots that will match with any winter style. Cozy on the inside with warm fleece lining and Velcro side straps for a snug secure fit these boots are sure to be a hit. 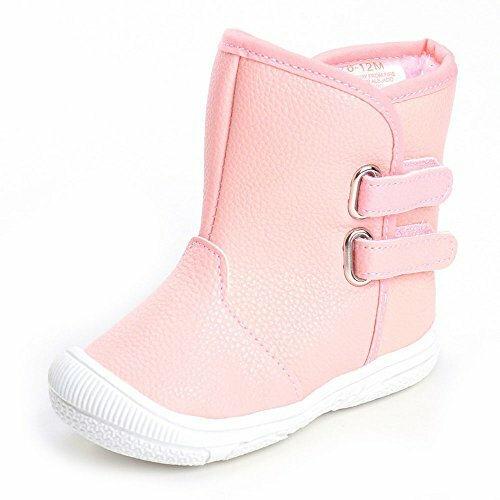 The recommended age is just for your reference, Please measure your baby’s foot length to choose the right size for your baby because of the different measurement methods, there may be 1-2 cm of the allowable range error.